Product #49514 | SKU G-Mic | 0.0 (no ratings yet) Thanks for your rating! 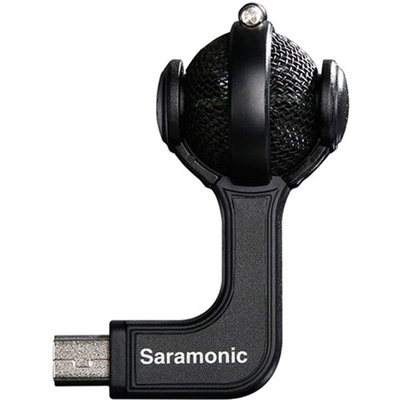 The GoMic from Saramonic is a stereo, ball microphone designed to plug directly into the GoPro HERO3, HERO3+, HERO4 cameras. Compact and lightweight (at 0.42 oz), it offers a portable and unobtrusive solution for capturing speech and environmental sounds with enhanced clarity and sensitivity that complements your extreme visuals.